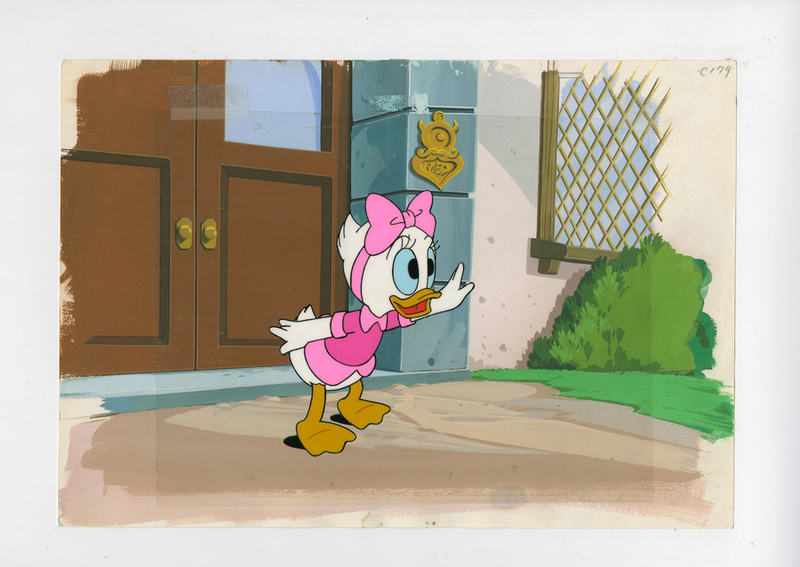 This is an original production cel and background set-up from the Walt Disney Studios production of DuckTales (1987-1990). 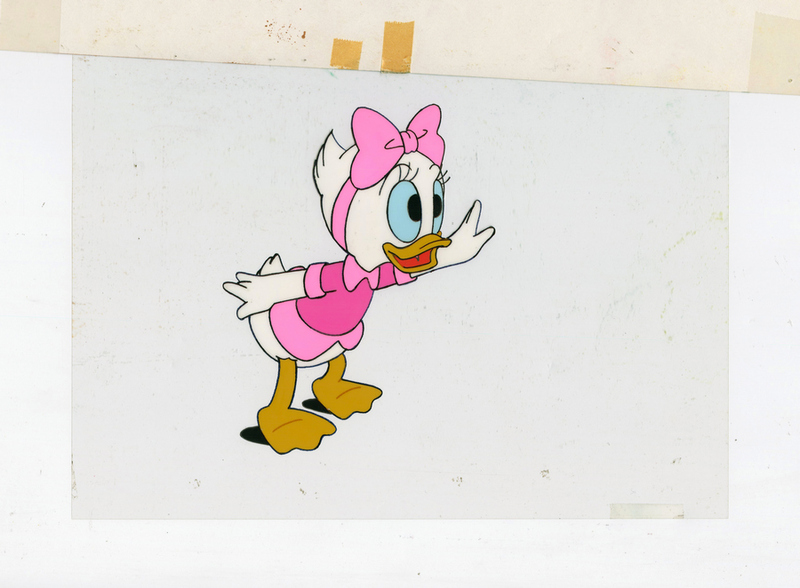 This hand-painted cel features Webby Vanderquack and it has been paired with a hand-painted production background that it is attached to with tape. 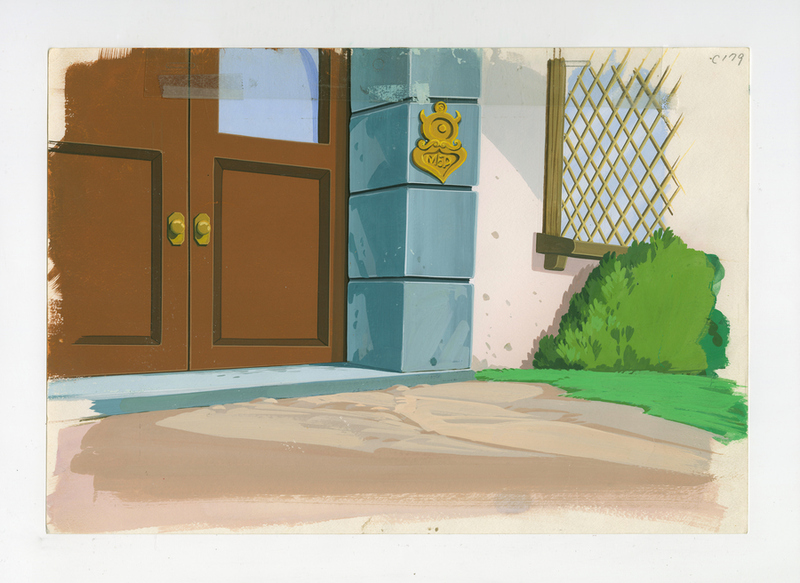 Both pieces of the setup were created at the studio and used during the production of the film.series. The overall measurements of the piece are 10" x 14"" and the character image itself measures 5.5" x 4.5". 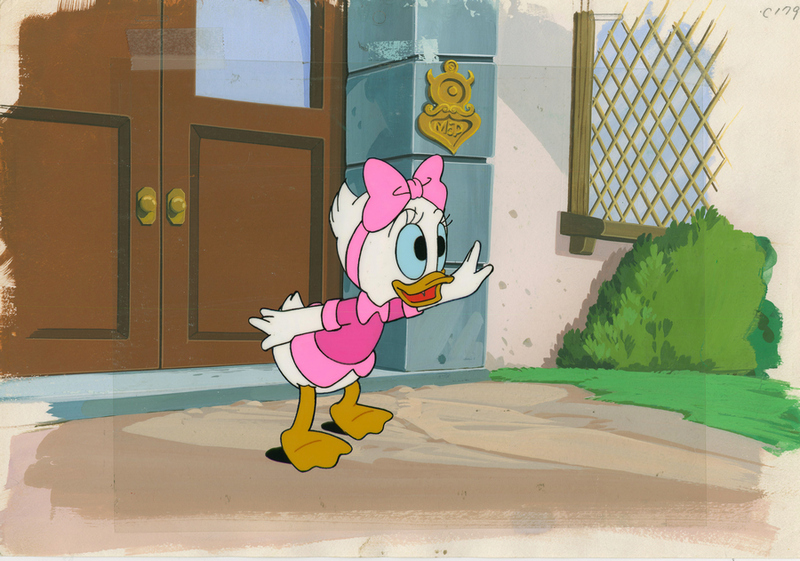 The setup is in very good condition with minimal edge wear to the background and some mild line fade to the character image (as is very common with this era of Disney TV production artwork.